Here, Allergy Standards’ VP of Strategic Business Development, Courtney Sunna, interviews leaders, brand managers, and marketers who are part of a global movement towards healthier products that are rooted in rigorous science. In this interview, meet Chris Anderson and Ashley Hartford, leaders from Owens Corning, an over six-billion-dollar company known for its innovative insulation, roofing, and composites, and has earned its place on the Dow Jones Sustainability World Index for nine straight years. Courtney: Owens Corning was recently named No. 3 on Corporate Responsibility Magazine’s 100 Best Corporate Citizens, for the fourth consecutive year. That’s an impressive honor! How do ideas and innovations in the marketing department align with corporate goals and responsibilities related to health and sustainability? Owens Corning is driven by our purpose that our people and products make the world a better place. Health, sustainability, and safety are core pillars of what drives our product innovations. Our marketing teams work with both the product and technical teams to take a market back approach to evolving our existing products and influencing other product innovation. Courtney: How does Owens Corning evaluate which organizations, partnerships, and opportunities to align with in order to convey specific messaging about a product’s features and benefits? Owens Corning is constantly innovating and values and seeks out industry experts to collaborate on those innovations which will have meaningful impact for both residential constructions and consumer markets. These partnerships benefit them and add further value and trust in the product they’re using. The Asthma and Allergy Foundation of America (AAFA) and their partner Allergy Standard Limited (ASL), provide the expertise, testing and independent certification to develop the industry first allergy and asthma friendly® insulation. 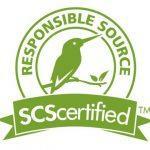 We also work with the North American Insulation Manufacturers Association (NAIMA), Greenguard Certification Program, UL Environment, and SCS Global Services for recycled content and wind energy certifications. 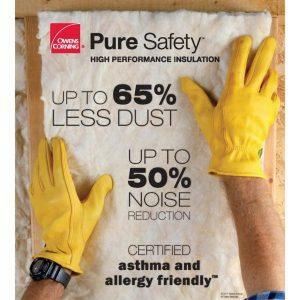 Courtney: The Pure Safety® Insulation product launched last year, exclusively with The Home Depot. What were some of the marketing challenges you faced, and how did you overcome them? Could you share any feedback? Overall air quality, which is very important, is still an incoming trend for homeowners. We worked with our Business Insights team to understand the target audience and how to communicate the importance of overall air quality most effectively. 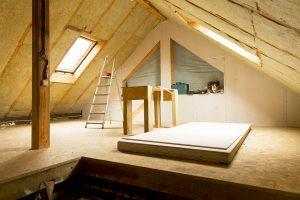 When shopping for insulation, homeowners and pros go into the store knowing what they want, so we needed to work on making them aware of the innovation prior to going to the store and reach them earlier in their decision-making process. Digital and online marketing were very effective channels for creating awareness in addition to in-store marketing. 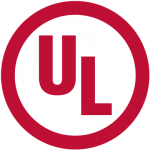 Courtney: Last year, Javier Cuadrado from Owens Corning’s science and technology area, said that extensive testing was conducted with millennial homebuyers to find out what they care about, and it turns out that family health and safety is of utmost importance. Could you share some background and insights during this phase of the process? We knew going into this project that specific product innovations would not resonate with every customer segment. Millennials look for value in the products they purchase including home improvement projects, and they look for solutions that help protect the health and safety of their home. When considering the many benefits of insulation like energy savings, noise reduction and having a comfortable home, millennials with young families viewed the allergy and asthma friendly® certification as a differentiating factor from other products and ranked it high on the list of product claims for Pure Safety. Courtney: Tell me about the alignment of innovation within R&D and how it can be translated into a meaningful marketing message? The Science and Technology team engineered formulations starting with a low dust fiberglass recipe combined with a higher density product that resulted in improved fire and sound claims. This translated into a strong value proposition and marketing message of “up to 50% noise reduction”, “fire resistance”, and the “industry’s first allergy and asthma friendly® insulation”. Courtney: What advice do you give to young marketers looking to align themselves with a values and purpose-driven company? Marketing, at it’s core, is meant to create and deliver value – a task that is made much easier at a company with a strong sense of purpose and transparent values. If you know what you believe in and trust the products you’re marketing, you inherently become more effective at educating or convincing your end-user. Owens Corning is a trusted brand that has continued to reinvent itself and its solutions for over 80 years. That trust, along with continuous product innovations, a growing global presence, and a strongly recognized brand, allow marketers to be more creative while remaining credible and relevant. Courtney: What is changing in the field of product claims and marketing? Consumers are inundated with claims. When it comes to product claims and marketing, in order to break through the clutter, it must be intuitive and matter to the homeowners we target. The asthma & allergy friendly® certification does both.With many homeowners having some sort of asthma or allergy issue, this messaging is relevant and resonates, and the benefits come to life in the claim. Courtney: How does your digital strategy enhance the traditional retail shopping experience? A history of insights show that people start their shopping journey online. Consumers aren’t reading signage, packaging, or shopping the aisle. We focused on an integrated marketing approach to reach the homeowner earlier in their journey by updating our website, product information pages, advertising banners, and executing search/SEO targeting. This online strategy targets key audiences and markets, and is consistent with the traditional in-store experience, so homeowners have better recall of Pure Safety® when they arrive in store. Courtney: Could you share any feedback from consumers about this product? Courtney: What segments are you focusing on for the upcoming year? We have interest from other customers on how Pure Safety® Insulation will allow them to differentiate in the other products they offer. 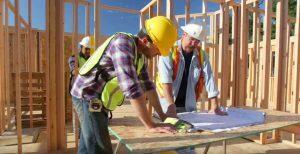 We are also launching the Pure Safety® product in the new construction channel with the builder segment who focus on overall air quality. Owens Corning (NYSE: OC) develops, manufactures, and markets insulation, roofing, and fiberglass composites. Global in scope and human in scale, the company’s market-leading businesses use their deep expertise in materials, manufacturing and building science to develop products and systems that save energy and improve comfort in commercial and residential buildings. Through its glass reinforcements business, the company makes thousands of products lighter, stronger and more durable. Ultimately, Owens Corning people and products make the world a better place. Based in Toledo, Ohio, Owens Corning posted 2017 sales of $6.4 billion and employs 19,000 people in 37 countries. It has been a Fortune 500® company for 64 consecutive years. For more information, please visit the official website. ©2018 Owens Corning All Rights Reserved. “Creating the best possible indoor environment for optimal health. ” – Allergy Standards Limited (ASL) is an international certification body that prepares independent scientific standards for products to meet in order to be eligible to certification as asthma & allergy friendly® and its mission is to help people create the healthiest possible indoor environment through science, certification and education. 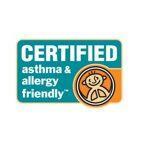 When consumers see the distinctive mark on a product, they know they are buying an asthma & allergy friendly® product. Click here to read more about how Pure Safety® passed our scientific standards. Click here to visit Owens Corning official website. 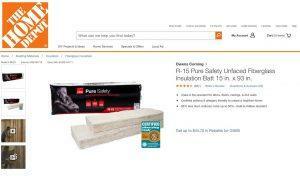 Click here to view Pure Safety product on Home Depot website.